Sark became the world’s third international Dark-Sky Park, and the first international Dark-Sky Community in Europe, on 25 January 2011. The announcement was made on the 31st by the International Dark-Sky Association (IDA). Fewer than 12 sites around the world had earned themselves Dark-Sky status before Sark, but the number did include Scotland’s Galloway Forest Park. The Dark-Sky movement promotes the fight against light pollution, making awards to locations where it’s possible to view the stars with the naked eye. Sark was a natural candidate for such an award, having no street lights or motorised traffic, aside from tractors. The Association suggested Sark had created a “purposeful directive for future lighting practices”. Several public institutions on the island, including the school and hotels, had reworked their lighting arrangements to help reduce light pollution and the island’s government pledged that any future lighting would conform to the International Dark-Sky Community’s requirements. This latter point was particularly important since the designation is a key selling point for the island’s tourism industry. 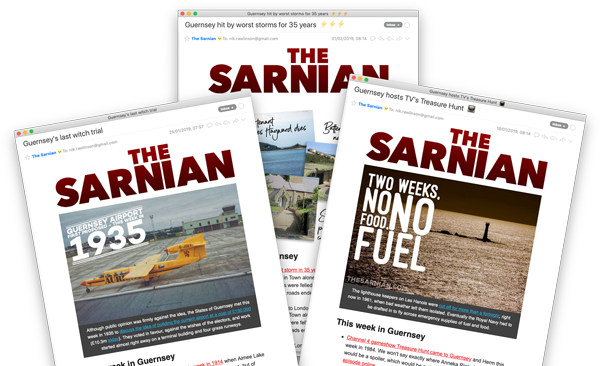 As well as promoting its less frenetic pace of life, Sark has been using its Dark-Sky status to attract astro-tourists who visit for star-gazing breaks. Enya released an album called Dark Sky Island in 2015 inspired by Sark’s status.